Fundraising for the Kus-kus-sum campaign is going strong as we head into our final year of collecting community-based donations and sponsorships. Last year we met, and slightly exceeded, both of our community targets and have raised $328,000 towards our community goal of $500,000. To date we have raised over $1 million of the $6.5 million we need for the purchase and restoration of the property. This includes funds from local residents, visitors, local businesses, Estuary Angels, governments and foundations. Our single largest contributor so far is the Fish and Wildlife Compensation Program, which awarded us $400,000 last spring. 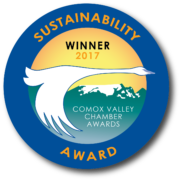 Comox Valley Project Watershed Society gratefully acknowledges the financial support of the Fish and Wildlife Compensation Program for its contribution to the Kus Kus Sum Land Securement for Puntledge Salmonids. Our next community target is $100,000 by June 30th and our final payment to Interfor is due December 20th, 2019. While we are feeling very positive about our ability to make these payments, we are aware that if we don’t, the property could go back on the market. To ensure that doesn’t happen we are working hard to provide our community with various ways to support this initiative, and, of course, grant writing. Luckily for us we are not doing this alone. 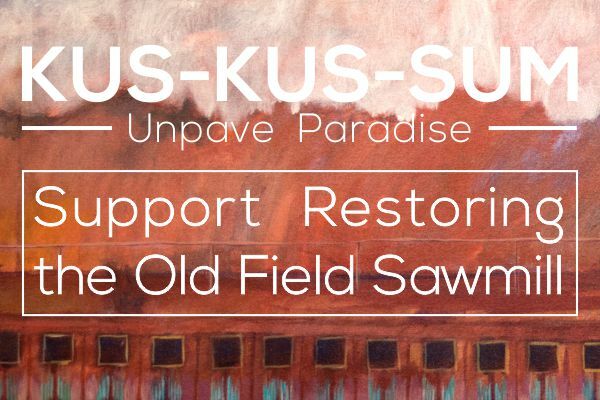 A variety of community groups have come forward to throw fundraising events for Kus-kus-sum. Most recently a wedding reception was held where guests were asked to contribute to Kus-kus-sum in lieu of gifts and all profits from the alcohol sales were donated. Over $3,000 was raised this way. If you would like to do something like this for your personal event contact us at info@projectwatershed.ca or call 250-703-2871 and we can assist. A list of upcoming public events is provided on this page. Watch our website and Facebook page for event updates and ticket sales. In addition to events, we have Alternative Giving Cards with which people donate to Kus-kus-sum in someone else’s name for their birthday, Valentine’s Day etc. The donor receives a tax receipt for the donation and the recipient gets a card commemorating the gift. Gifts can be made online, at our offices, or at an event we are attending. We have also set up a Conservation Gift Store for our fundraising items. You can purchase the items online and then we will contact you for pick up. Another exciting development is that one of our Estuary Angels has agreed to continue matching community donations up to the next $100,000! So every $1 that is donated is $2 for Kus-kus-sum. We are grateful for the support from our community. All donations large or small are greatly appreciated. 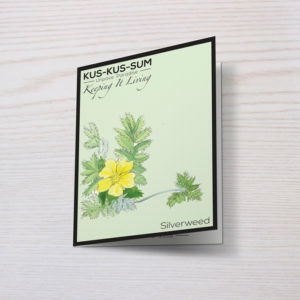 With their permission all our sponsors and donors are listed on our Friends of Kus-kus-sum Page. We respectfully acknowledge that we live, work and play within the traditional territory of the K’ómoks Nation. © 2018 Comox Valley Project Watershed Society. Website in collaboration with Pod Creative.